What small cars lack in size, they often make up for with an eagerness to be driven spiritedly. There isn’t a small car that epitomizes this more than the Nissan Micra. 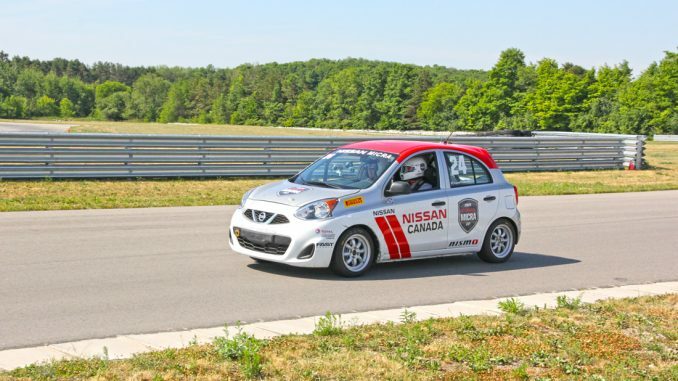 So confident Nissan Canada is of it, that they created a spec race series just for their new small car: the Nissan Micra Cup, or for our French readers, Coupe Nissan Micra. 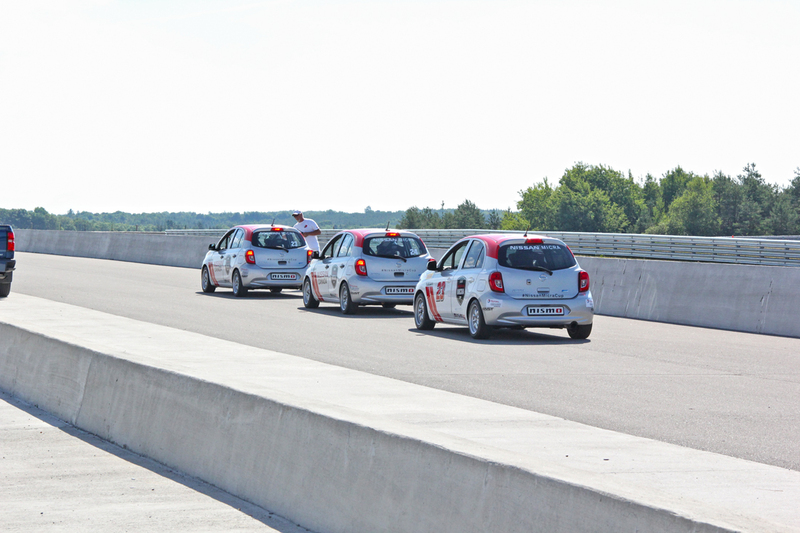 In a rare opportunity, Nissan arranged for members of the media to drive Micra Cup cars around the track at Canadian Tire Motorsport Park (a.k.a. CTMP, formerly Mosport). Yours truly was at the track, and got to be a race car driver, even if just for the day. It would be unfair for me to assess the performance characteristics of the race prepped Micra seeing as this is the very first race spec anything I’ve gotten behind the wheel of. I will however say that it goes around corners as if on rails and has grip for days; our editor Kanishka Sonnadara who was covering the races last year quoted some drivers even saying that the Micra Cup cars are capable of so much grip (thanks to sticky race tires and well sorted suspension) that rolling over becomes more the issue than under- or oversteer. 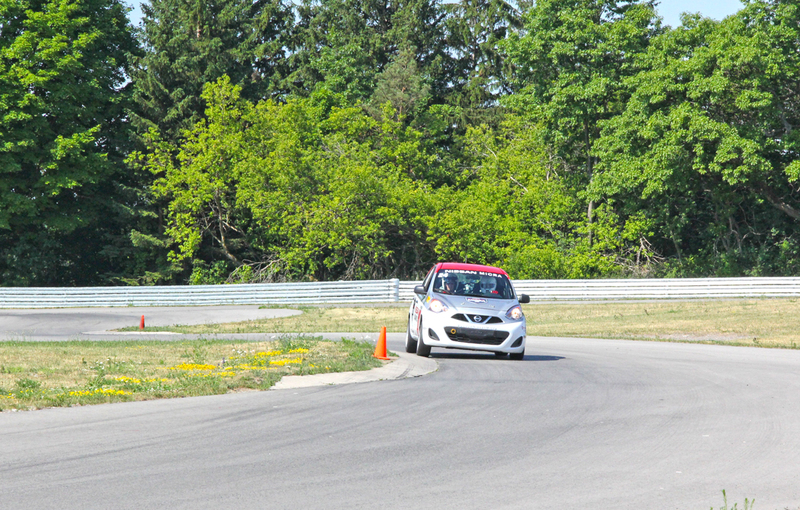 With a coach by my side, the experience of piloting this small car around the driver development track at CTMP was exhilarating and incredibly fun. Almost makes me want a car for myself, now to find me a spare $30,000. $30k, that’s the cost of entry into the world of Micra Cup cars, much like the car, it’s a small thing in the grand world of racing. The race spec Micra is built off of the base Nissan Micra S with a manual transmission (the under $10k car). The race version of the Micra is a complete race car, built from the ground up by Motorsports in Action in St-Eustache, Quebec. With the exception of suspension (NISMO KIT) and exhaust, there are no engine, chassis or transmission performance improvements. Majority of the engine is sealed to avoid unauthorized modifications and regular controls are organized which are closely monitored at each race. Races seven and eight will be held at CTMP this weekend, July 8 – 10. 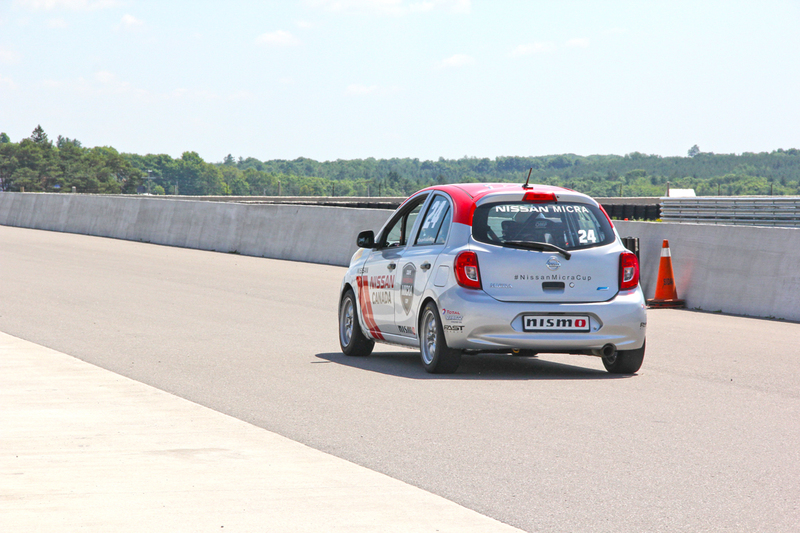 While last year the Micra Cup was limited to tracks in Quebec, the series makes three Ontario stops in this, their second season. What Women Expect from Men & What they get!